Day Five saw much better weather, which allowed us to clear our way out of the large state of Texas. We eventually caught back up with 1-40 in a town called Santa Rosa, which happened to be our first run in with the famed Route 66, which ran from Chicago to Los Angeles, and was long considered “The Mother Road” for cross-country travelers. Since 1984 the route itself is no longer a nationally commissioned highway, and many parts of the original roadway no longer exist. 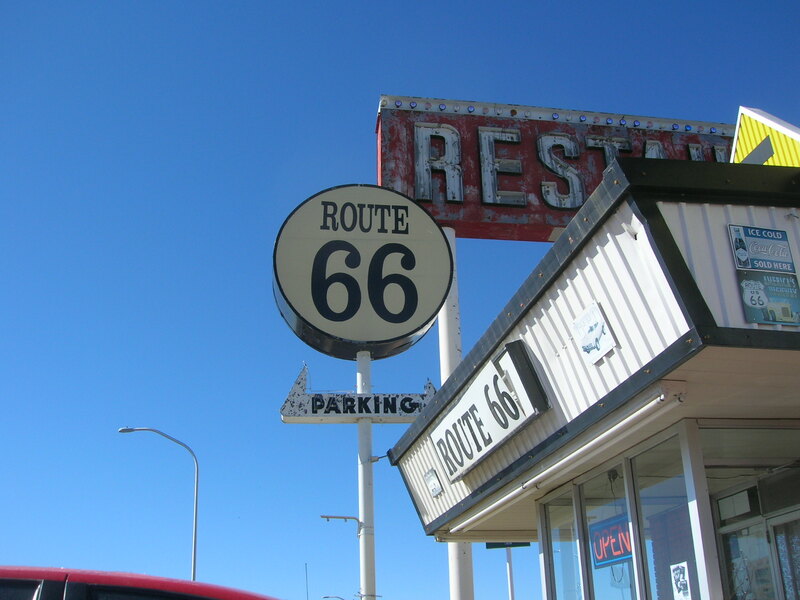 But fortunately for many fledgling Route 66 historians, like myself throughout the remainder of this trip, many of the businesses and tourist traps that lined the route are still in existence today. 1-40 follows most of the old route through the South/Mid West, from Arizona to Oklahoma, and many parts of 1-40 have business loops that go through the town centers, instead of around them as many of the interstate highways do. A good portion of those “Business-40” loops were once Route 66, so we took some detours to view old diners and shops like this one above. After Santa Rosa, we drove up to Sante Fe, which is the oldest city in America, dating back to the Pueblo Nation in the 11th and 12th centuries. There were some cool, old-looking buildings there, including the nation’s oldest Church, and oldest house. 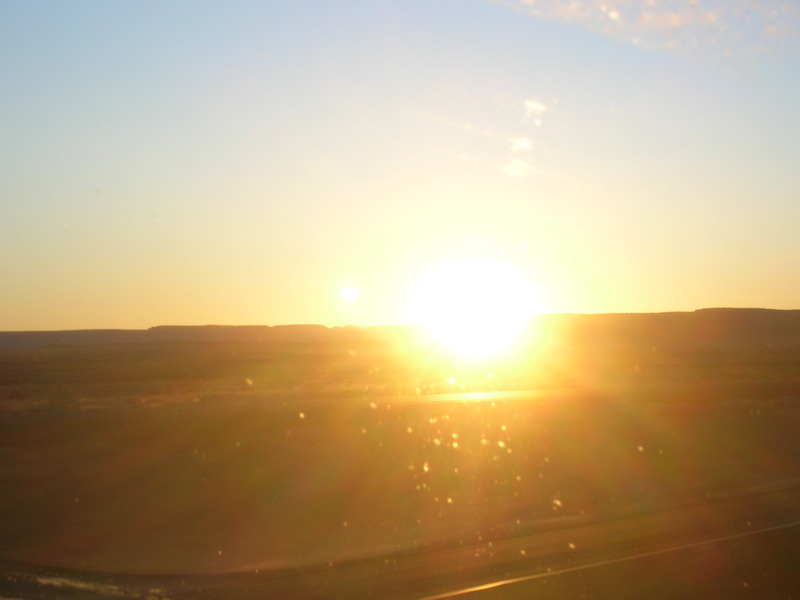 Our final destination on Day Five was another city on the old Route 66 – Gallup, New Mexico. We went for some real Mexican food, and then did a little exploring through the city’s main street, which was once part of the route. Tomorrow we follow the old path of Route 66 into Arizona, and I finally get to see one of the country’s biggest and most amazing natural phenomenon. If you can’t tell what I’m hinting at, just come back and find out. Even if you know what I’m talking about, come back and read about it.